Piton de la Fournaise (Peak of the Furnace) is a shield volcano on the eastern side of Réunion island in the Indian Ocean. It is currently one of the most active volcanoes in the world. The most recent eruption began on 31 January 2017. 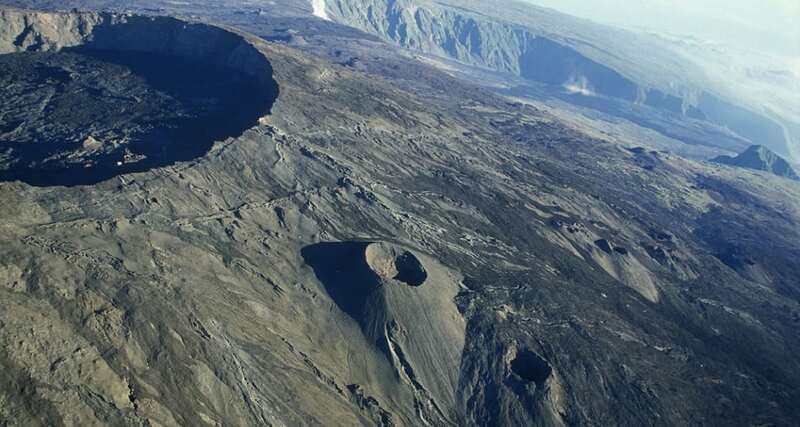 The volcano is located within Réunion National Park, a World Heritage site.